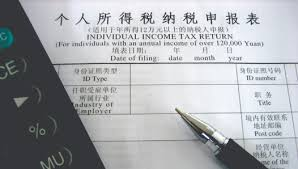 The State Council, China’s cabinet, announced a special deduction of personal income tax on Saturday to reduce the tax burden of those who have certain expenditures, according to Beijing, Capital of China.Click Here For More. These expenditures cover six areas, including children’s education, continuing education, health care for serious illnesses, interest on housing loans, rent and care for the elderly. The new interim measures will come into force with the amendment of the Personal Income Tax Law on January 1, 2019. For children’s education, from pre-school education to doctoral education, including technical education, 1,000 yuan (about $145) is deducted from parents’ taxable income every month.